The temperature is supposed to climb above zero degrees today. Daylight Savings Time starts this weekend, and March break has begun. Despite the snowbanks that surround us, I can feel the promise of spring. The days are getting longer and the sun is feeling warmer. 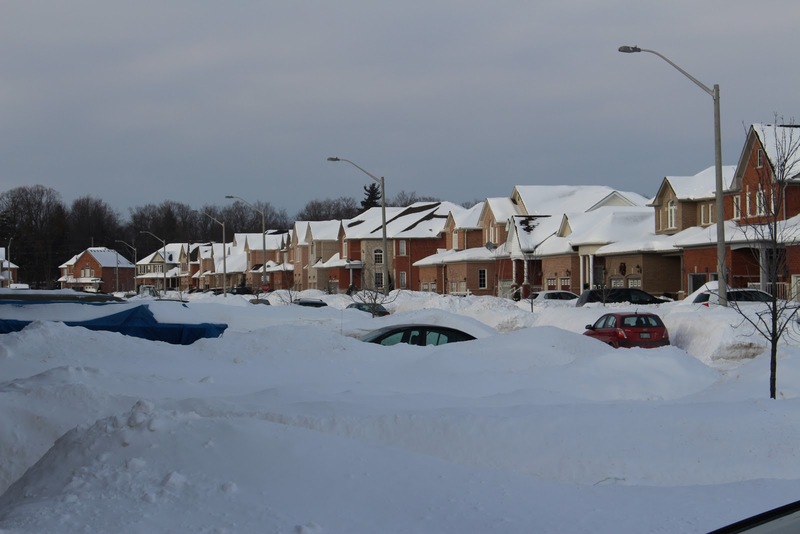 I know I said there wouldn't be any more snow pictures, but looking at all that snow makes me wonder what sort of a mess we're in for when it all starts to melt. We celebrated a couple of birthdays this past week, and it was all about hockey. 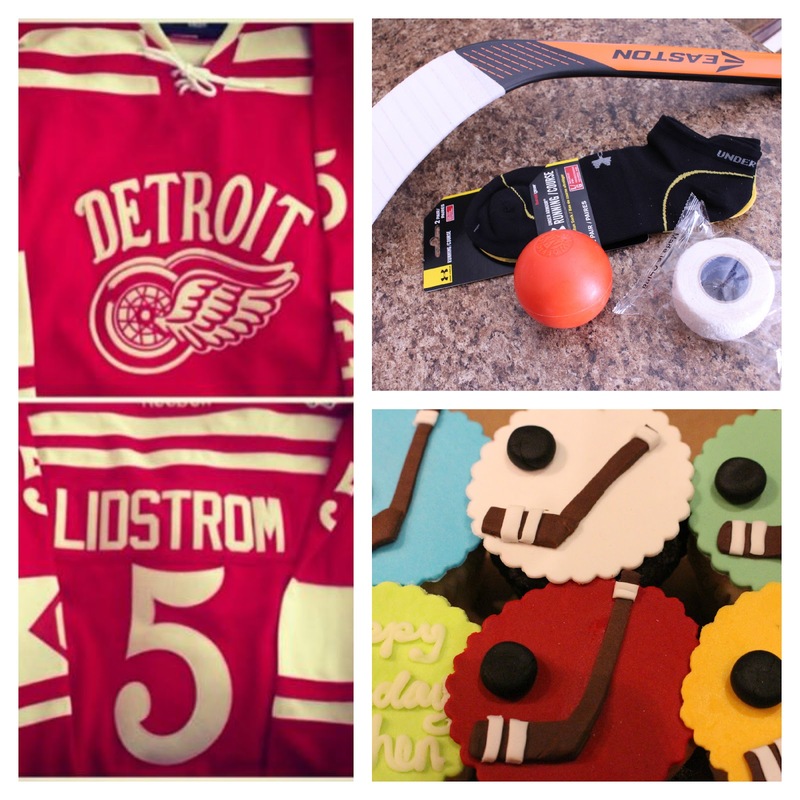 Hockey cupcakes, a commemorative hockey jersey from the New Year's Eve NHL Winter Classic, a new hockey stick, and a trip to Detroit for a Red Wings game on the same night that Nicklas Lidstrom's jersey number was being retired. And I made biscuits. And they were the best biscuits. We've been having a lot of pasta, soups & stews, and there's nothing better than warm, fresh rolls on the side. The problem is rolls take time. Kneading time, rising time, more kneading, more rising... not an option when you walk in the door at 5pm and hope to have dinner on the table by 6pm. Biscuits are a quick and easy alternative. I've tried a few different recipes... some were good, some were horrible. I've tried buttermilk, yogurt, and butter. They've come out puffy, flat, salty, tasteless, hard, soft, dry, and crumbly. 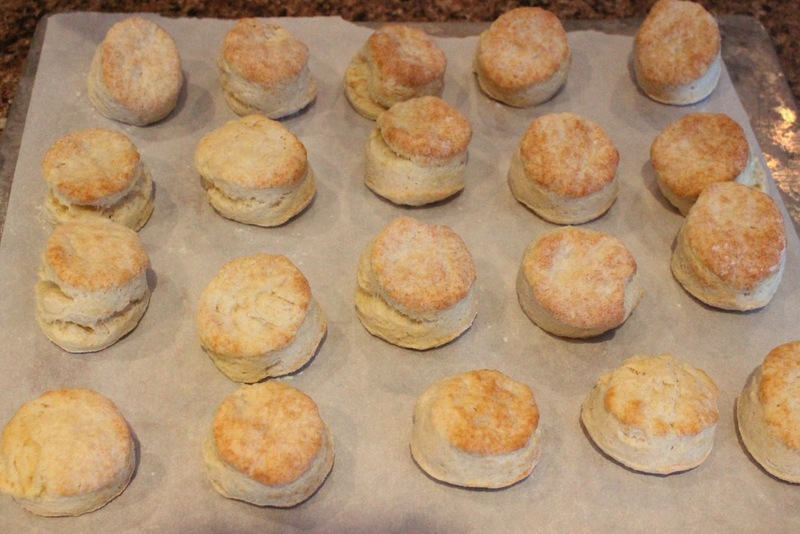 Now that I've had consistently good results by combining and tweaking a few different recipes, I can honestly say these are the best biscuits I've ever made. It's all about sour cream. Full fat sour cream. Honestly, those low fat dairy products sort of scare me. The ingredient list is four times longer than the list on a container of regular sour cream. Seriously, what on earth do they add in order to make up for the bit of fat they're removing? Besides, our brains need fat... I read it somewhere. 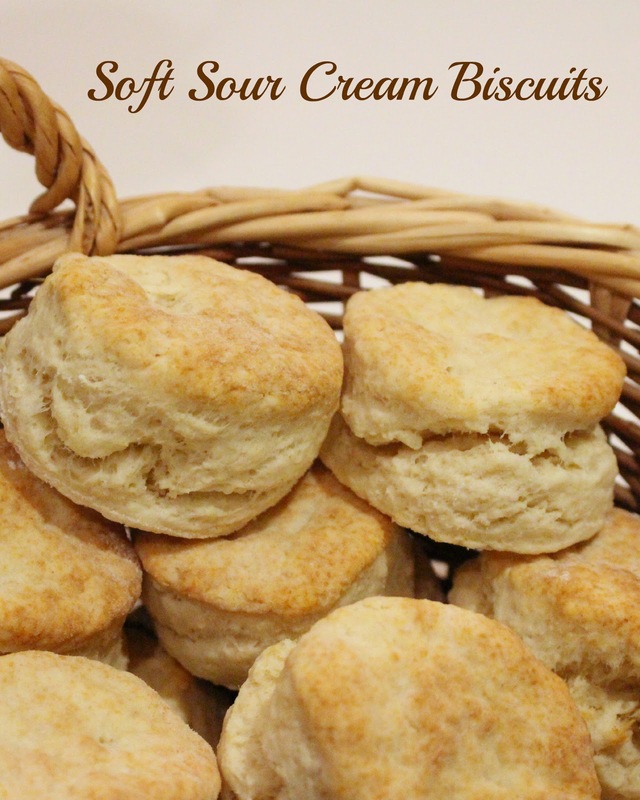 So if you're looking for a good biscuit recipe, try this one. It's easy, it uses real ingredients, and the result is soft, flaky deliciousness. Add the sour cream and butter. Stir until it just holds together. Roll dough out on a floured surface, about 1/2 - 3/4 inch thick. 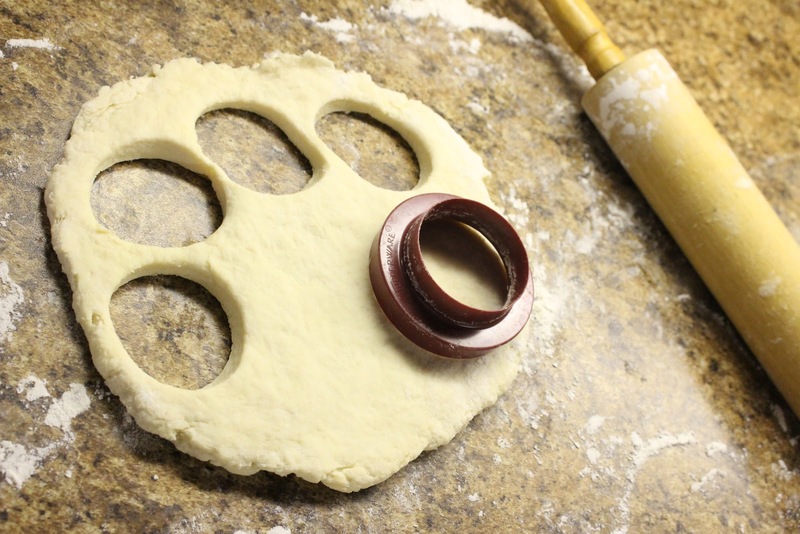 Use a round cutter and press straight down to cut out biscuits. If you twist the cutter you won't get those nice looking layers on the side of the biscuit. Bake until they are golden brown, about 12 - 15 minutes. These are best freshly baked and still warm from the oven. If you want to make them ahead of time, freeze the unbaked biscuits and then bake them straight from the freezer, adding a few minutes cooking time. Don't over overwork the dough, it should be just combined and still lumpy before you roll it out. Overworking the dough will result in tough biscuits. When measuring the flour, don't just scoop and dump. This compacts the flour in the measuring cup, resulting in too much flour and hard, dry biscuits. Instead, fluff the flour with a scoop and add it to the measuring cup scoop by scoop. Read how to properly measure out a cup of flour here: King Arthur Flour. I've gone easy on the salt. If you prefer a saltier biscuit you could use up to a teaspoon. Alternately, if you prefer a sweeter biscuit, the sugar can be increased up to one tablespoon. Jenn, those biscuits look delicious, and I agree with you about "low fat" foods...sometimes, the calories are even higher in them! Your biscuits look easy to make, I might have to try them. Also, I think you have us beat with snow amounts, but our parking lots look quite similar...I dread the muddy spring! I love biscuits. These sound great. I agree with you about those "low fat" food. I don't like to eat things that have an ingredient list that long. I can't wait to try these biscuits. Thanks for sharing at Food on Friday. My mom said 3M over in MN might still have melting snow from their giant pile melting in July...so the good news? Maybe we'll see snow...the bad news? Like you said, I'm a bit worried for y'all! But those biscuits look like they might chase away all sorts of cold. Thanks for sharing them on Let's Get Real Friday! I love homemade biscuits! Thanks for sharing it with the Let's Get Real party. We can sure relate to your heavy snow issues out here in Central Alberta! But you're right, spring is definitely in the air. These biscuits look scrumptious! 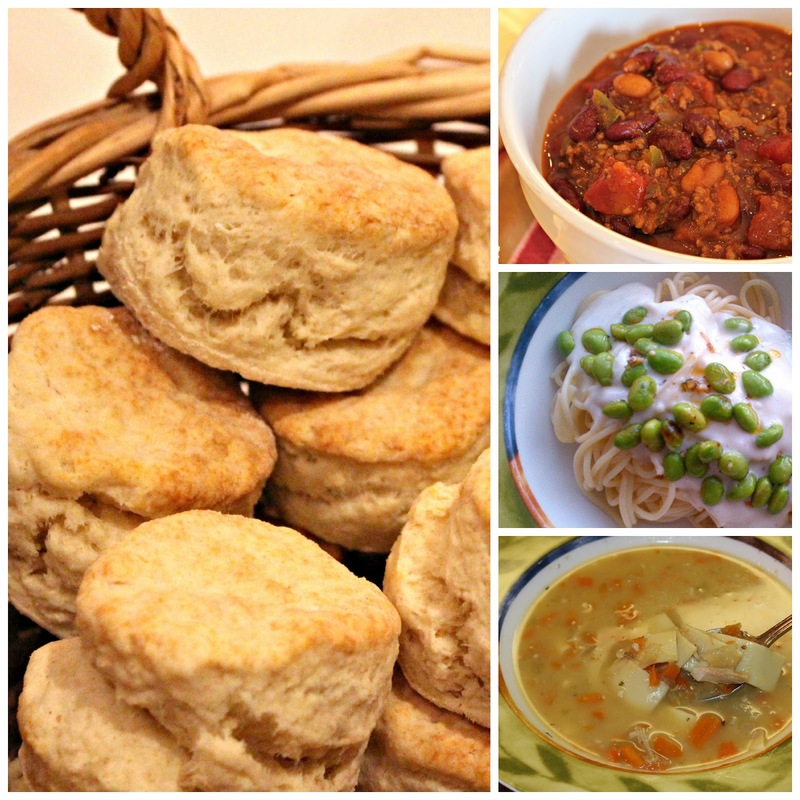 We are big fans of biscuits in this house; so good with soups and stews! I will be making some of these for sure. And yes, our brains do need the fat. Low-fat no-fat does not get in the door at my house. These are perfect for a morning breakfast with the family. I hope the warm temps has melted most if not all of that snow. Thanks for sharing and linking up with us at the #WWDParty! These biscuits look so yummy!! These biscuits look great - they make me want to get in the kitchen and get to baking! :) Thank you for sharing at #GetHimFed Fridays, hope you have a nice week!! I absolutely love biscuits and these look incredible. Thanks for sharing on the weekend re-Treat link party! Ohhhh, I want a biscuit now with some jam. These look delicious. Yum! And I agree whenever I see low-fat/diet/sugar-free I think chemical cocktail. No thanks! Those biscuits look so yummy! My husband loves it when I make biscuits. He eats biscuits and gravy or puts jelly and butter on them. I feel like biscuits are the perfect side dish for any meal. These biscuits look fantastic! Perfect dipper for all the soups and stews we've been having this winter. Thanks for sharing at Simple Supper Tuesday. That is a lot of snow! Goodness! Your biscuits look so good. I love biscuits. Thank you for linking up to Tips and Tricks! Is there anything sour cream doesn't improve? These look delish and I just pinned them to try! Would love for you to share at Fridays Unfolded! Mmm!! This sure looks delicious! Thanks for linking up with us for What We Eat Wednesdays!! We are sitting at 32 degrees and that looks warm compared to your weather. 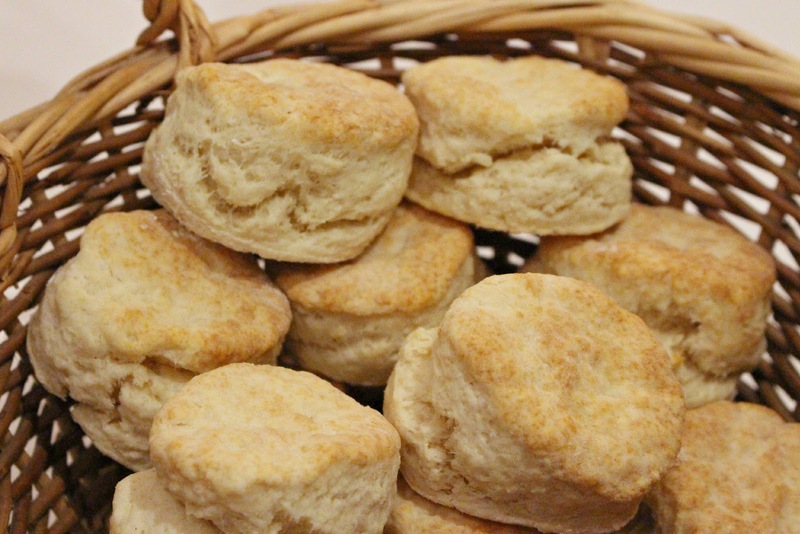 I love homemade Biscuits and your Biscuits look like a special treat on such a cold night. Happy St. Patrick’s Day to Ya and thanks so much for sharing your awesome post with Full Plate Thursday! Hi Jen, your "boxcar" received the most clicks from the March Great Blog Train!! I love biscuits about just as much as I love finding fellow Canadian bloggers! Your biscuits look fabulous. Let's hope Spring makes an appearance soon. I am so over this snow and cold! Thanks for sharing at Simple Supper Tuesday. Your snow pictures are terrifying!!! lol!!! Wow! Your biscuits sound really yummy! I agree with the need for fat. And it helps them taste yummy. I can't get over all of that snow! I'm also pretty amazed by how tall your biscuits are. They look awesome! Thank you for sharing at See Ya in the Gumbo this week. They look yummy, perfect for dunking into some warming dishes. Hope Spring arrives quickly. Thanks for linking to Sweet and Savoury Sunday! Stop by and link up again this weekend!